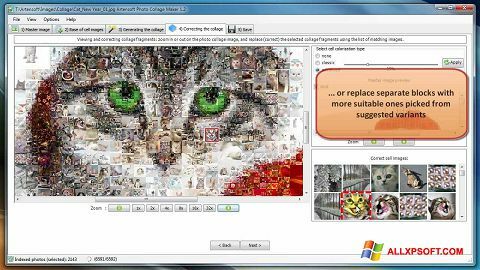 Photo Collage Maker for Windows XP - a classic application that allows you to use a huge number of graphic and visual effects of the overlay, to create a full collage. The program has a built-in graphics editor, offers more than 100 professional solutions for placing photos. The tool supports many different extensions and offers flexible export options for final files. You can free download Photo Collage Maker official latest version for Windows XP in English.